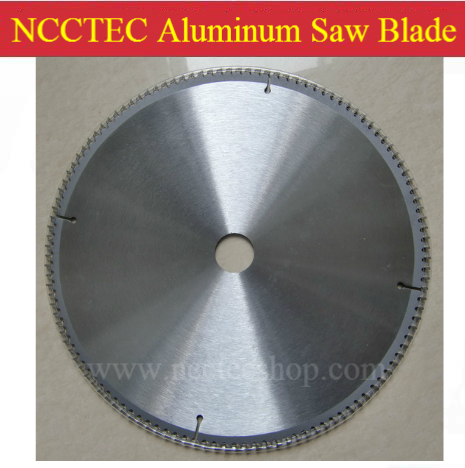 TCT Saw Blades For Cutting Aluminum Section can be utilized for cutting and sizing industrial and structural aluminum sections. 1. For cutting aluminuim to prevent broken edge and cracking-off. 3.Technology conducted by German expert, quality up to the standard of German DIN54, DIN8033. 2. Internal stress removed , deformation will not happen after long time using. 3. High bending resistance makes Carbide tip difficult to be broken. Each saw blade is packed in white box or color box, several white box into export standard cartons, then reinforced with straps. Special size with diameter/arbor/pin hole/coating/ material could be made according to customer drawing.